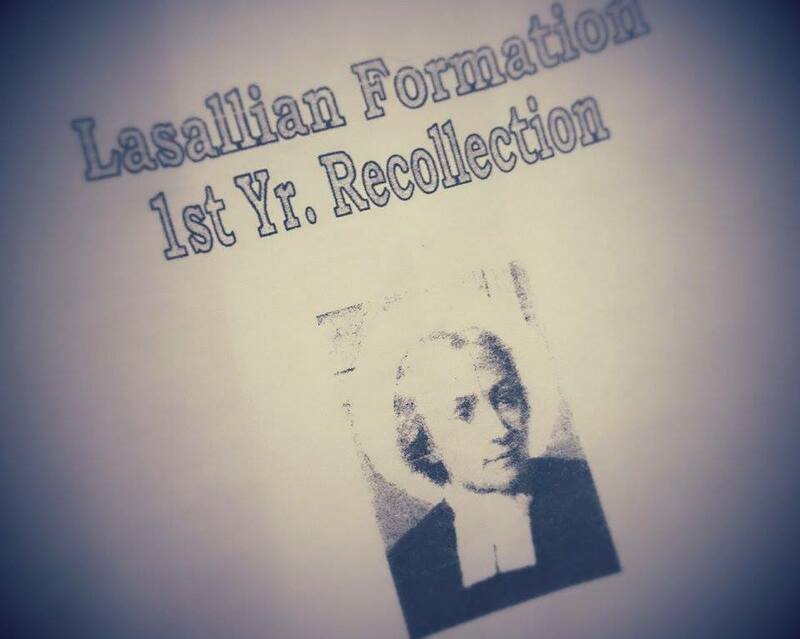 Last batch of recollection for this school year. This is the best time for me to internalize the things that I have done this past nine months (almost a year) in med school. This is the time to know other people’s story and be inspired or be an inspiration to others. Also this is the time to have a break at least for a day from academics. This is the time to strengthen my relationship to God whom sometimes I forgot His existence. Those lines reminds me when I was in 4th year college when I have so many doubts about med school. I keep asking my self if I am ready to enter medicine, I keep evaluating my knowledge, Is it enough? (parang wala naman ako natutunan for the past 4 years). So I ask God to help me decide what to do. I ask for signs, first sign is that my 2nd NMAT exam result should be higher than my 1st. Second is, I should pass my med interview (I only applied for one med school, pag di ako pumasa so GOODBYE med school na). If these will not happen instead of going to med school I will take MS first then later medicine. It even came to a point that I consulted the guidance office because of my self-doubt. That consultation went fine, they told me that it is normal for a graduating student to be afraid of something that is ahead of us (if non med, it is normal to be afraid of the working environment), They told me that I should ask my self if worrying is worth of my time that I shouldn’t worry something that I cannot control, she said focus on something you can control like studying for my upcoming NMAT exam and for my interview. So I follow her recommendation, my 2nd NMAT exam result is higher than my 1st (that’s the 1st sign), so I practiced my interview then I got accepted (that’s the 2nd sign). I thank God for helping me realized that worrying will lead me no where. 1st question is the greatest risk that I have taken, I still considered going to med school the greatest risk I have taken so far. for me it is all or nothing (be a doctor or be a doctor) I didn’t see my self 5 to 10 years from now not becoming a doctor, If I don’t become a doctor, I don’t know what will I be. I saw it as a risk because I am afraid that when i reach higher year and something will happen that I will not be a doctor and I will tell my self (“Sayang edi sana noon palang nag ….”) I wasted my time. Medical curriculum is made very difficult that only the best of the best will survive. Risk is everywhere, fail one subject and you will take that only subject for a year next year, fail 40 units (Anatomy- 39+, I forgot the number of units for biochem and physiology) Anatomy+ other subjects Bye medicine. Some medical school dont accept transfer students. So medicine is a risk that should be taken seriously. 2nd question is the most difficult decision ever made, I think its not the decision I made but more on the decisions I will be making in the future. Through out 1st year I have my ups and downs in my academics (yeah I’m your typical med student, I don’t top the exams and I fail some of it) it came to a point i questioned my self, Are all of my sacrifices worth it (see my That Thing Called Realization- Medicine version https://365daysofcatchingdreams.wordpress.com/2015/03/02/things-i-learned-during-my-1st-year-in-medical-school/). Should I continue med? But before I say NO, I step back and ask my self the reasons why i entered medicine in the first place.Its not just for me, I shouldn’t be selfish and thinking only for my self, I made these sacrifices not only for myself but also for other people, for my family and most especially for my future patients. I don’t have the right to complain now because when I become a doctor my patients will trust their lives to me, and Life is precious that whatever sacrifices you have now, It will all be worth it in the future. We sang, recites different prayers, watch short video clips, did some icebreaker and the best part of every recollection since undergrad is FOODS. The last activity that we have for the afternoon session of the second day is DISCOVERING THE GOOD NEWS IN ME. List your deepest and most cherished things, ideas, or values in life. Ideas, traits, characteristics or attitude I want to improve in myself. Aside from changing my study habit “katamaran” (My answer every time this question is ask in every recollection that I have attended) this time I added something about “”risking something or taking risks”” since before I am afraid to try something new, afraid of something that i don’t have a control over (kinda control freak here! ), afraid of something that I’m clueless of. That’s also the reason why I’m afraid of loving again because “love is something you can’t control because love is spontaneous” #HashtagHugot1. From now on, I will try to become a risk taker “life is short” to be afraid of something uncontrollable. One thing I would like to have been said of me if I would die today. You live your life to the fullest, that you have proven something. In the end we have to shared our group sharing to everyone about the things we discovered about ourselves, how we shared our giftedness to others, what gifts did we discover among members of our group and how St. De La Salle Shared his giftedness to others. The best gift you can give to someone is your time. The recollection ended with a mass. If you have problems, if you feel giving up in medicine, if you feel helpless DO NOT FORGET that in the end of the tunnel there’s always light and after Good Friday there’s always an Easter Sunday. Have fate and continue fighting!